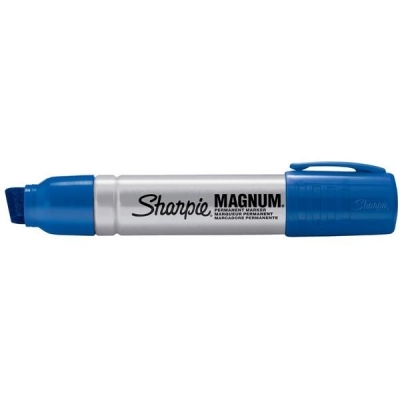 Permanent marker with metal barrel. Durable blocked chisel tip for heavy use. Marks on most surfaces even wet and oily. Fade and water-resistant dye-based ink. Xylene and Toluene-free. Plastic cap with pocket clip. Easy to cap/uncap. Line width 14.8mm. Blue. Pack12. Pack Dimensions: 143x118x93 mm.